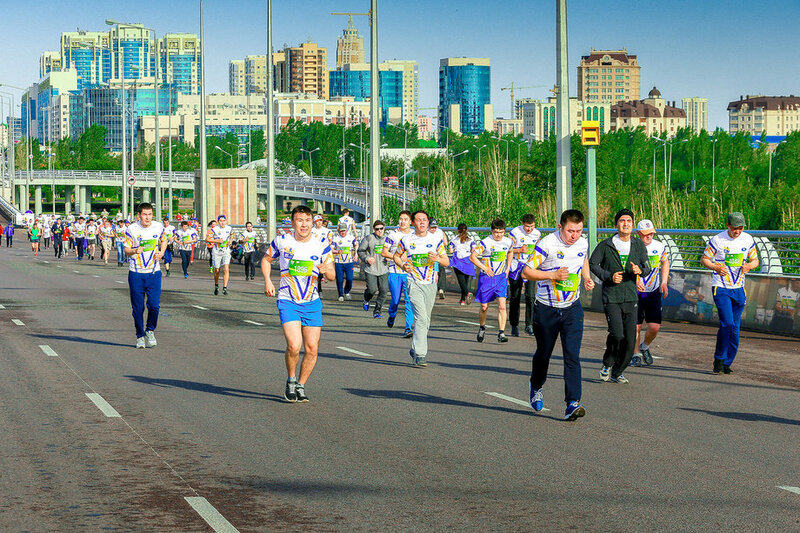 ASTANA – The annual BI Marathon, the largest sporting event in Central Asia, will be held May 27 in the capital. The third charity run will differ from previous year’s events with the launch of a Sports Fair. Marathon organiser BI Group has invited 60 companies to exhibit their goods and equipment May 25-27. City residents and guests can purchase famous brand uniforms and goods for the marathon, cycle racing, CrossFit and swimming. Participants will receive BI Marathon T-shirts to shows their involvement in the social project. The fair will be a unique place for individuals to begin sports and prepare themselves for the race. Organisers suggest children ages 8-14 try the two-kilometre distance, while older participants can choose among five, 10 and 21.1-kilometre (half-marathon) distances. The real challenge will be the 42.2-kilometre marathon. 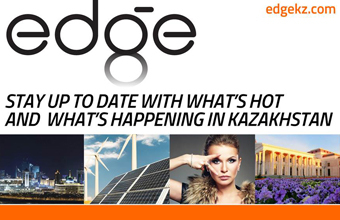 The entry fee is 5,000 tenge ($15), increasing to 5,500 tenge ($16.61) beginning May 1. 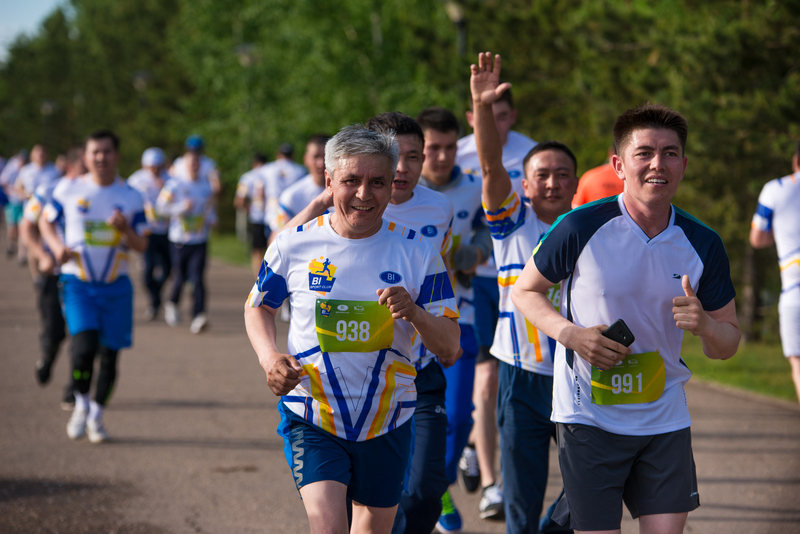 Registration is available at www.bi-marathon.kz. Participants in previous two BI Marathons shared their experiences. Timur Dmitriyev trains three times a week to be able to run the 42.2-kilometre distance in three hours, 30 minutes. “Long-run training helps to overcome discomfort and severities. What do we need to suffer for? Psychological adaptation to changes and the increasing level of stress during running improves your capacity for work; you perceive everything with the smile,” he said. BI Group employee Gulzhainar Mergaliyeva started with five kilometres in the 2016 marathon, improving her distances to 10, 21 and 42.2 kilometres in the following years. “After my first marathon, I realised that I am stronger and more enduring than I thought. People were surprised I ran 42.2 kilometres. It’s all about fortitude and character, not your physique. I broke up the stereotype that people with a fragile physique are weak,” she said. Mergaliyeva advises group training with a coach. “I trained incorrectly last year. I didn’t know you needed to breathe properly, control the pulse and work on certain muscles of the legs,” she added. The BI-Zhuldyzai charity fund will receive donations from the marathon to support children with special physical needs. Following the first event, the fund purchased and installed medical equipment in BI-Zhuldyzai rehabilitation centre in the capital to treat children diagnosed with cerebral palsy. The 16 million tenge ($49,230) collected in 2017 was spent on Solisten devices, which activate the nervous system. The centre provides rehabilitation and operations and invites highly qualified specialists from abroad. As a result, 468 surgeries have been completed in the last three and a-half years on Kazakh children with cerebral palsy and 50 youngsters ages 4-13 began to walk for the first time. BI Group launched the marathon to support charitable organisations and a healthy lifestyle. Nearly 3,000 participants attended the event in 2016, increasing to 4,000 the next year.